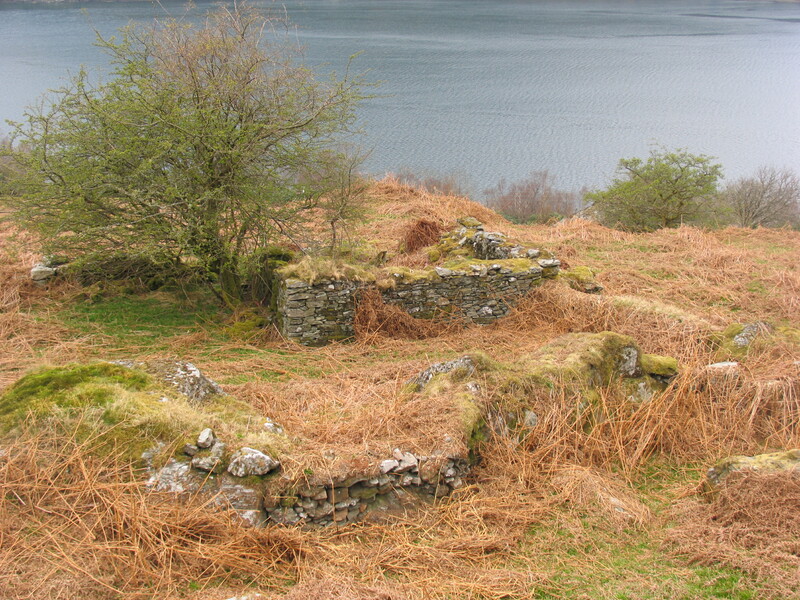 High Morlaggan is a ruined settlement above the north east shore of Loch Long. Its intriguing remains have been depicted in old postcards of the area, but all that remains today are bits of walls that have all but disappeared under the bracken. We wanted to know when people first lived at High Morlaggan. Who lived there? What did they do? When did they abandon it and why did they go? ‘Murlagan’ is marked on Timothy Pont’s map – one of the earliest maps of Scotland made in about 1592. This and other maps suggest that ‘Morelaggan’ as we know it today didn’t exist until the early 1800s, and that all the mentions of Morelaggan (Murlagan, Morlichan etc.…) before then refer to the settlement we now know as ‘High (or Upper) Morlaggan’. The current ‘Morelaggan’ only started to develop after the construction of a road along the east shore of Loch Long, commissioned by the Duke of Argyll – the line of which is now followed by the A814. 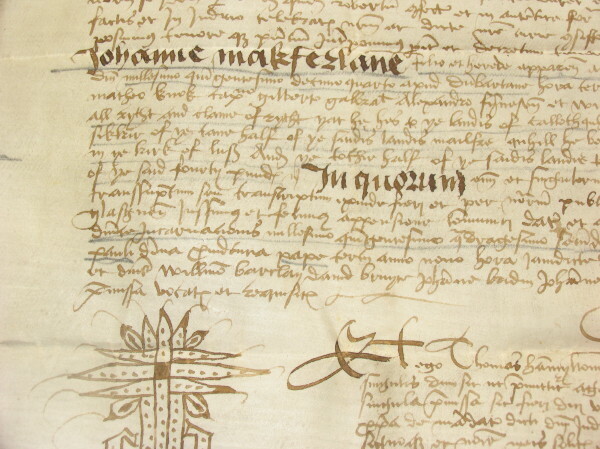 It is clear that families had lived at Morlaggan for over 400 years (see timeline): the first known mention dates to 1501, when one Duncan MacConochie staked a claim to the lands of ‘Cullochquhoun and Morlagang’. However, it may be that Duncan didn’t actually own these lands, as the manuscript shown on the right suggests that they belonged to Andrew McFarlane, then laird of Arrochar, at that time. A ‘wadset’ was drawn up, whereby he effectively mortgaged ‘ye lands of Culloch-pirrie and Murlagan’ to a Dugall McCoul. In 1514, Dugall McCoull renounced his rights to these lands, and they became the property of Andrew’s son, John McFarlane. 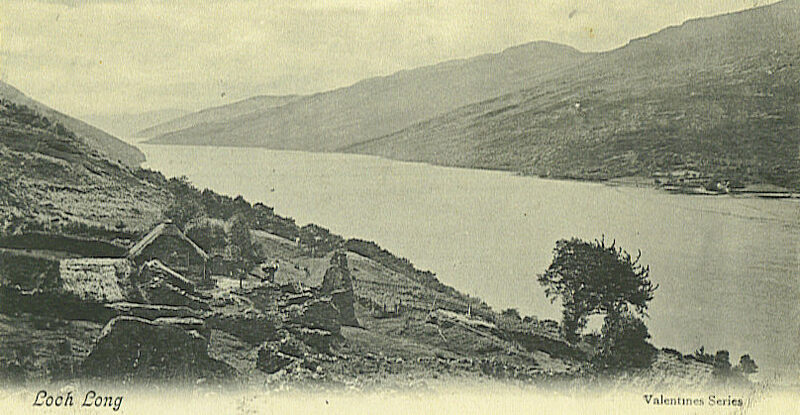 The identities of Cullochquhoun and Culloch-pirrie remain uncertain, but it may be that they refer to Coille Chorran, which was situated in Glen Douglas and connected to Arrochar via the ‘String Road’. Perhaps these legal disputes and transactions occurred because Morlaggan lay on the edge of McFarlane territory, and of what later became Arrochar Parish? This would have made it first in line in any attempts by Colquhouns to ‘expand’ into what was traditionally McFarlane territory…. ‘Morlichan’ is marked on Roy’s map drawn around 1750, which shows not only buildings at Morlichan, but also signs of cultivation. Major changes happened in the late 1700s, when the Duke of Argyll built a road along the shore of Loch Long. This was followed by the construction of a toll house and other buildings nearer the loch side. Information from ordnance survey maps and censuses suggests that up to four families lived at High Morlaggan in the 1800s. The people all had very menial jobs – woodcutter, dyke builder, labourer, and washerwoman, to name a few. At least one inhabitant allegedly operated an illicit whisky still! The ruins that are still just about visible today probably date from around that period, and include the remains of field systems, as well as houses. His brother – another artist, Waller Hugh Paton – must have been sufficiently impressed, as the following year he painted a picture entitled ‘Upper Morelaggan’. The 1890s saw another major change with the construction of the West Highland Railway a few hundred metres up the hill from High Morlaggan. For a while, the population was boosted by large numbers of labourers housed in specially constructed railway huts that were accessed by walking up the hill past High Morlaggan. Towards the end of its life, High Morlaggan was home to just one shepherd, who used the other empty buildings as stores and to keep his animals in. The last record of anyone living at High Morlaggan was in 1916, after which it was finally abandoned. It has been suggested that the stones from the deserted buildings were taken to help construct the new buildings down at the roadside. You can download a copy of our brochure with a brief summary of Morlaggan’s history here: High Morlaggan’s History.